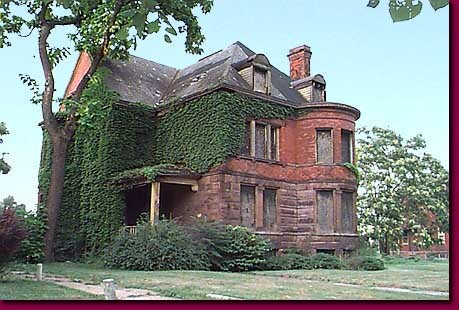 Like many of the abandoned grand mansions of Detroit, many of the houses on Ferry Street were transformed in multiple tenant housing and institutional buildings. Also many were bought up by speculators who sit on them in hopes of better times. If they are boarded up and have their lawns mowed they show potential for recovery. A dwindling number of grand houses can be found on Ferry Street between Woodward and the I-75 expressway.